The last time Trey Denison was a “boyfriend” he was seventeen years old, and then a family tragedy forced him to grow up fast and take charge of raising his sister, Tessa. So for the past sixteen years, he had no time, and no inclination for a serious relationship. But that was before Shayla. Trey helped her face demons from her past so that they might have a future. But now he must face his own . . .
Darren Parsons loves his life. He has a rewarding career and just about any woman who sparks his interest. The problem is, the spark – and his interest – in women have both been diminishing over time and he’s beginning to yearn for more. Unfortunately, ‘more’ comes in the form of Paige Freeman, his dead best friend’s former fiancée. And that’s a line Darren has promised himself never to cross . . . I have read all four of your books;in the last week.You are an awesome writer. I can’t wait to read more! Thank you! Hard at work on the follow-up to ‘Secret’ . . .
One of the things I like about your writing is that each and every character is different and believable and their issues/ challenges are unique. Shawn is different from Trey, is different from Mark, is different from Brendan. And Riley is different from Shayla, is different from Dylan, is different from Tracy. I also like that I always learn something. Sometimes I can read an authors work and really enjoy the characters they created but then I read the next book and its the same character with a different name and different drama. And pretty soon even the drama starts having the same formula and I just wonder what the point is. So thank you for breathing fresh life to each of your characters, and I’m looking forward to The Art of Endings! Thanks! Making sure the men aren’t all the same is more of a struggle. And in ‘The Art of Endings’ it will be exclusively from Trey and Darren’s POVs so it’s been interesting . . . 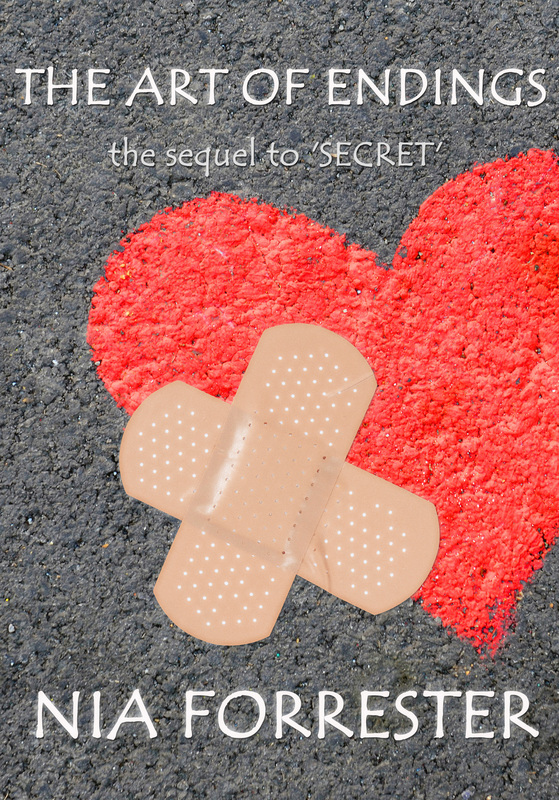 Loved secret got to the end and couldnt wait to find out what’s next for trey and shay. Went online to find out when i could get the next book only to get the news it is coming in march 2013 so I have been waiting not so patiently any idea when in march. The Art of Endings comes out on March 25th. I’m glad you liked Secret. Did you leave me a review? I’d love to hear more about what worked (and didn’t) for you in this one. Sorry should have left more info. I was just so ready to find out what happened to my new friends Shay and Trey. Your characters are all so real I love that they are not all filthy rich leaving a lifestyle that only a few could aspire to and that they are all dealing with situations that could really happen. When I am done with the new book at the end of March I am going to go back and read some of your other books. I like reading books where they characters appear in later books either through a series or because they are friends of character in the new book. Looking forward to getting to know your people. Thanks Wilma. I’m looking forward to introducing them to you. I checked your site last night and the anticipated release was the end of March. Today it is indicating April. I hope it doesn’t get pushed back any further. I recently discovered your books and have read three of them. I await the release of this book anxiously. You have found a fan in me. Thanks Trudie! The new release date is April 15. Which have you already read besides Secret? If none, I would recommend Unsuitable Men followed by Maybe Never. Hi WilmaJ, I’m reading “The Seduction of Dylan Acosta” right now and I am absolutely enjoying it. It is thoroughly enjoyable. I would recommend reading it. Nia, I love the book cover!!!! This book is going to be awesome! Nia, I just finished Secret this morning at 7:30am, I have also read Maybe Never. Your characters are so real and every character develops independently without it being force. Lucky for me I am just finding out that the sequel will be out next week so I will not have to wait long. I so appreciate your talent, doesn’t hurt that I live in NOVA so alot of the references I am a familiar with. Just 2 more days until more shay and trey. Ps I loved Riley and the gang and it was easy to see why they would be hard to get out of your head. I found myself sneeking in time to see what they were doing when I knew I should have been doing something else. Now in addition to wanting to know about shay and trey I want to know how the wedding and baby thing turned out with Tracey. I am an addict to good books hope there are some left for the summer. Nia, I have read all your books. Do you have a release date for the Art of Endings. If so, please let me know. release date is June 30th. Thanks for the interest! I am so sad that you left me hanging with Chris and Robyn’s story. There must be more to come!